This anthology includes a wide range of essays on queer relationships and families. My own essay is a mother’s story about dealing with her daughter’s coming out, and the conflict between her own perspective and that of her church. 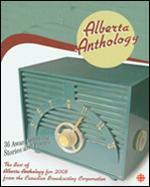 CBC’s Alberta Anthology has been the premier writing contest for Albertans for 26 years. Past winners have included luminaries such as W.O. Mitchell, Tom Weyman and Marty Chan. In 2005 the entries celebrated the Alberta Centennial and were featured in this volume along with work from the judges, Vern Thiessen, Karen Connelly, E.D. Blodgett, and Gloria Sawai, all Governor General’s Award winning writers. The contest was produced and hosted by CBC’s Allan Boss. Winning writers’ entries were professionally produced and narrated on CBC radio’s Wild Rose Country and Daybreak Alberta. The result of a cross-Canada contest for the best short stories about young people’s experience of loss and grief, Dark Times is a superb anthology about a topic that often remains hidden but is crucial in the development of a child’s sense of identity. The stories develop highly contemporary situations: a First Nations boy mourns the death of his mother; a girl copes with the loss of her grandmother to Alzheimer’s disease; a boyfriend’s death takes a girl through the five stages of grief; a destitute family loses their home; a daughter loses a parent when her mother leaves; a fetal alcohol syndrome child is lost to his family when he is sent to prison; a boy loses the brother he loves to mental illness; the death of a small child challenges a girl’s belief in God; and a young girl discovers her father in an affair and confronts him – with devastating results. Well-known children’s writer Ann Walsh has chosen the stories and one of her own is included. The other contributors are Sarah Ellis, Lee Maracle, Alison Lohans, Diana Aspin, Carolyn Pogue, Gina Rozon, Jessie Mae Keller, Libby Kennedy, Donna R. Gamache, Patricia McCowan, Betty Jane Hegerat and Carrie Mac.